The promoter of The 13 Hotel (pictured), a tourism project on the Cotai-Coloane border in Macau, and that aspires to have an in-house casino, has completed the formalities for a company name change, it said in a Thursday filing to the Hong Kong Stock Exchange. The 13 Holdings Ltd is now officially “South Shore Holdings Ltd”. It is another name-change for the scheme’s promoter. In April 2016, the group swapped to The 13 Holdings from the previous name, Louis XIII Holdings Ltd. In March this year, when flagging the change to South Shore Holdings, the group said the reason was to “provide a clear delineation” between the firm’s corporate identity and that of its principal asset. Thursday’s filing said that the group’s secondary Chinese name had also been altered. The English-language stock short name of the company will change with effect from 9am on June 27, to “South Shore Hld” from “The 13 Holdings”. The Chinese short stock name will also change on that date. The stock code of the company remains as “557”. The company logo has been changed with effect from Thursday, and the company website has been changed to “southshore-holdings.com” with effect from the same date. 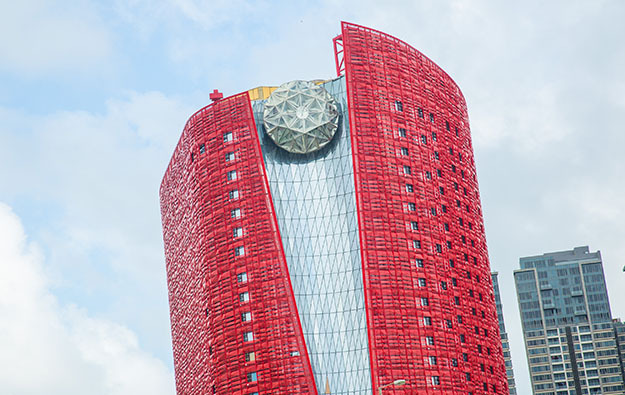 As reported by GGRAsia on Wednesday, management for The 13 Hotel has been told it must “apply for reinspection” regarding its Macau hotel licensing process, which it had originally requested on May 25. In a March 27 filing, the developer had flagged a revised opening date for its hotel project as June 30. In October last year The 13 Holdings announced a proposed rights issue to raise gross proceeds of approximately HKD1.01 billion (US$129 million) toward the cost of The 13 Hotel venture.